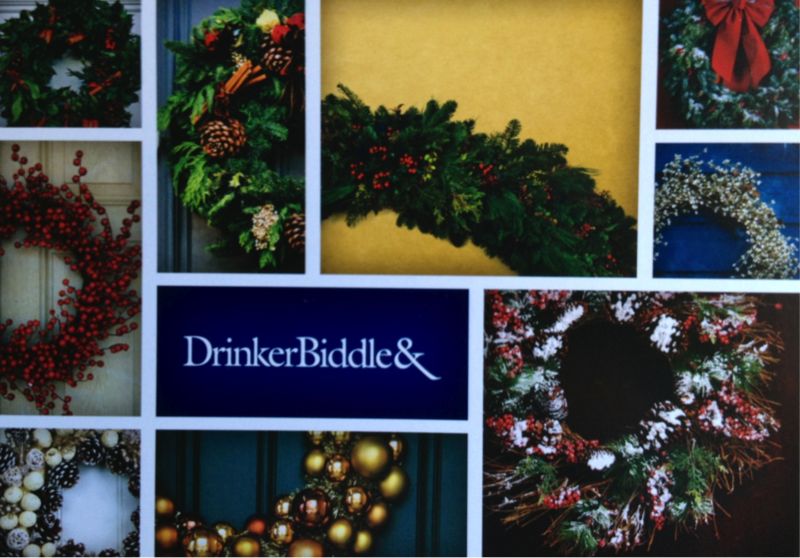 Ross's Law Marketing Blog: Drinker Biddle’s Clever Holiday Card. 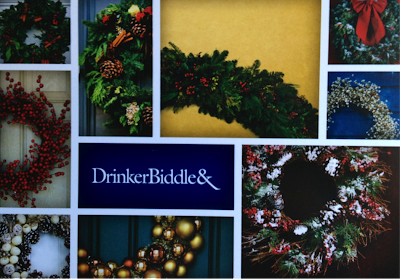 Drinker Biddle’s Clever Holiday Card. Holiday cards are tricky. Law firms want to be creative and memorable, while needing to avoid anything marketing-oriented, religious, or clichéd (no snowy skylines, children’s artwork, pine trees, etc.). Drinker Biddle & Reath has a fortuitous name (Reath/Wreath), something they can safely use in this holiday context. Puns and word-play are more difficult than people realize; it’s easy to do them ham-handedly, like a sharp elbow in the ribs (“Get it? Huh? Get it? Reath? Wreath? Funny, huh? Right?”). Ugh. A gentle touch is preferable, and I think this design hits just the right tone. Nice job, CMO John M. Byrne and the DBR marketing team. Full disclosure, Drinker Biddle is a client of Fishman Marketing, although we did not design this card.